On 04 May 2015 the business founder Christian Bürkert from Ingelfingen would have turned 100 years old. Having started out under the most difficult conditions, he managed the affairs of the company for 25 years until a fatal plane crash cut short his life’s work in 1971. To keep his memory alive and to provide a perspective on the present and future the company will display a chronology of Christian Bürkert’s life work in the atrium of the company headquarters in Ingelfingen. Christian Bürkert was born on 04 May 1915 in Ingelfingen. Having grown up on a farm, he attended the local grammar school and later the Robert Mayer secondary school in Heilbronn. After the premature death of his father he completed a course of study in electrical engineering at the Gauss Engineering School in Berlin, after which he worked for the appliance manufacturer Schaub Lorenz. After the war ended, he returned to the Bühlhof farm near Ingelfingen and started manufacturing incubators and hot plates, which found a ready market due to the high demand for poultry meat among the US occupation forces. Following the currency reform of 1948 the production of incubators and hot plates steadily decreased and Christian Bürkert realigned production to temperature controls, which were used for example in ovens. In 1954, Christian Bürkert started the production of solenoid valves, for which the company is known to this day. The breakthrough into mass production came in 1957 with the manufacture of washing machine valves, which formed the basis for international success. Another mass market was tapped in the late 1950s with oil controllers, which were used for regulating the oil flow in room oil heaters. Driven by economic success, additional factories were established in Öhringen and Gerabronn during this period, and later in the Alsatian commune of Triembach. A sudden slump in the transactions with washing machine valves was solved by Christian Bürkert with a technological milestone. The development of the plastic-sheathed magnetic coil that soon became the industry standard revolutionised electromagnetic valve technology with respect to performance, durability and size. Still in use as standard products today, the epoxy coils and cable heads paved the entry into the global industrial sector and boosted the process of internationalisation, which already began in the mid-1960s. On the morning of 21 October 1971 Christian Bürkert took off in a new plane on a ferry flight to the USA from which he did not return. His wife, Dorothee Bürkert, took control of the business, and together with Gerhard Hettinger she managed her husband’s company until 2004. Since Gerhard Hettinger retired in 2005 the operational management of the Bürkert Group is in the hands of Heribert Rohrbeck. With visions, inventive genius and enormous resourcefulness Christian Bürkert is one of the entrepreneurs who in post-war Europe laid the foundation for a new economic order, embedded in intensive internationalisation. 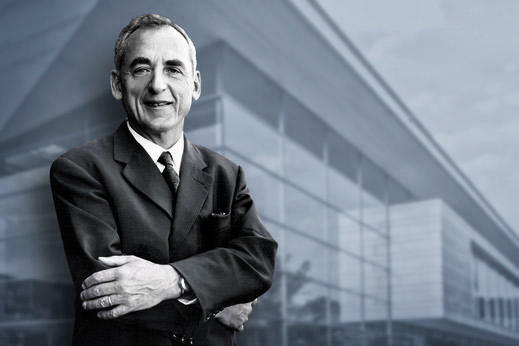 His exceptional dedication paved the way for the present-day company – a worldwide manufacturer of process measuring and control technology with more than 2,500 employees, Systemhaus locations, development centres and sales organisations in 36 countries. That his visions live on is evident in the daily dedication of every Bürkert employee, the social activities of the Christian Bürkert Foundation and the strong commitment of the shareholders to safeguarding the future of the Bürkert Group.